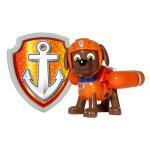 Dive into adventure with Zuma! This action-packed pup is a Chocolate Labrador who loves to laugh and surf! 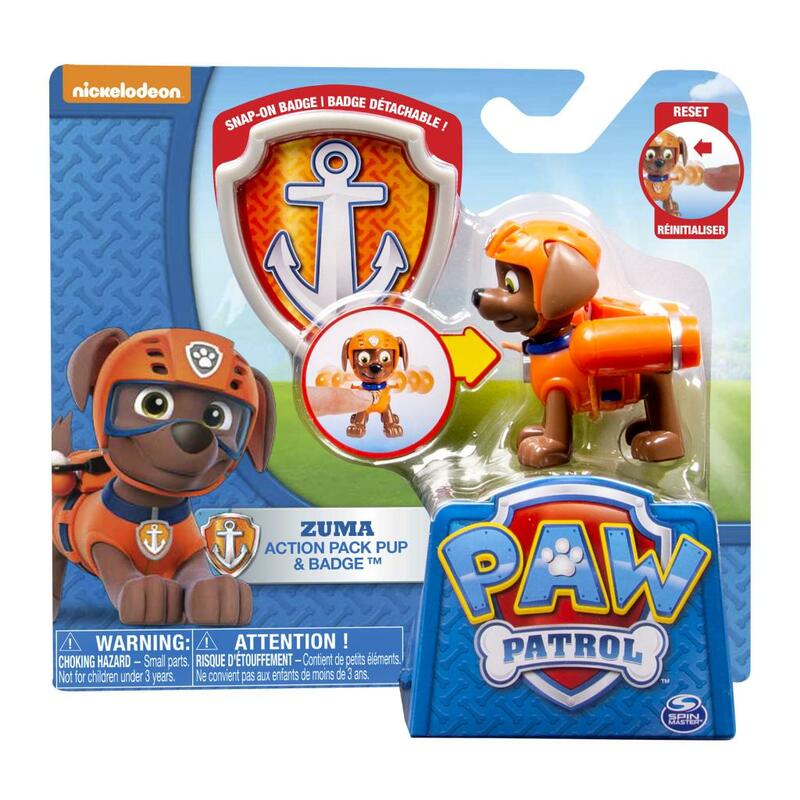 Press Zuma's dog tag to transform his Pup Pack into an underwater jetpack just like in the show! Need some PAW Patrol help? Collect each loveable PAW Patrol pup and work together as a team! 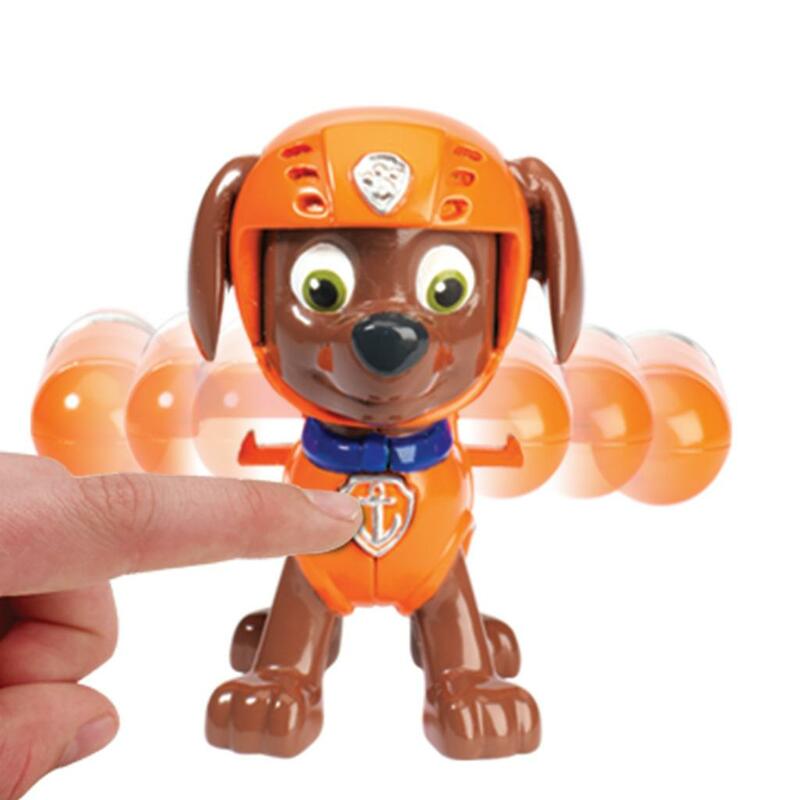 Whether it's Chase, Rubble, Skye, Rocky or Marshall, each pup has a unique push button transformation. Together, your child's imagination will be lit up with pup inspired rescue missions full of friendship, teamwork and bravery. 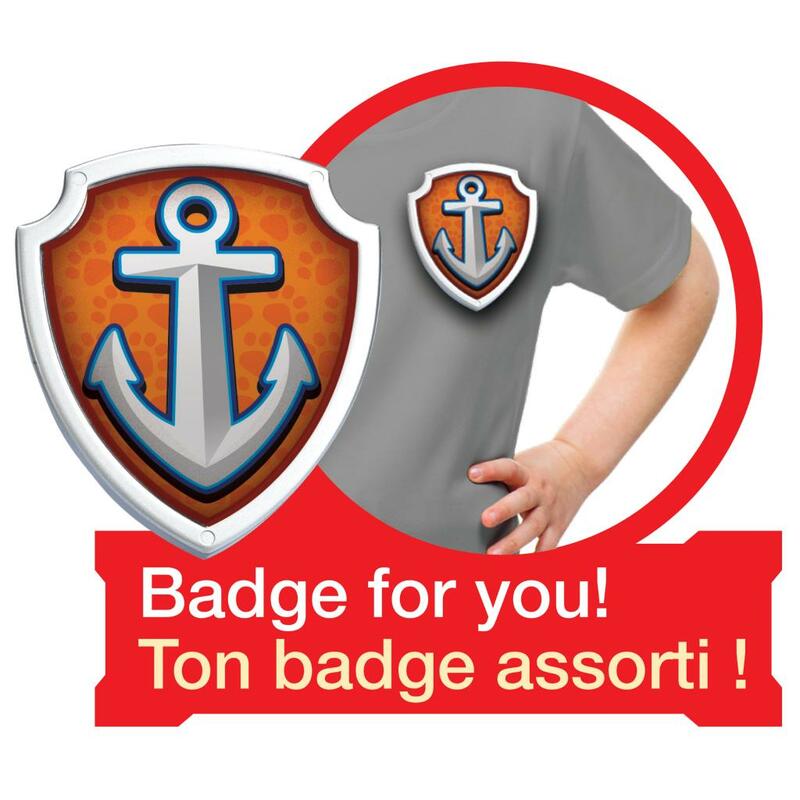 They'll even discover the hero inside by joining the PAW Patrol and wearing the official Zuma Anchor Badge that's included. Because with PAW Patrol, no job is too big, no pup is too small. 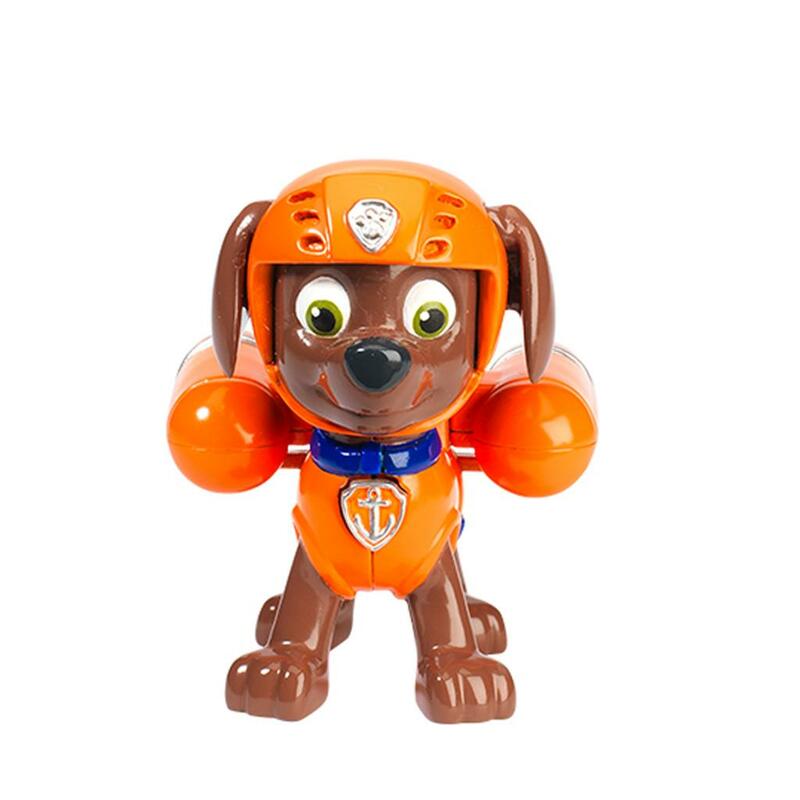 Bring home Action Pack Pup Marshall and then collect them all! 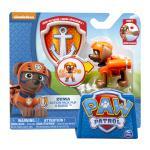 Action Pack Pup Zuma makes an incredible transformation as his Pup Pack transforms into an underwater jetpack! 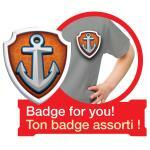 Now you can become a heroic member of the PAW Patrol when you wear the official Zuma Anchor Badge that's included! Collect each loveable Action Pack Pup and work together as a team! Chase, Rubble, Skye, Marshall, Rocky and Rubble all have a unique transformation.